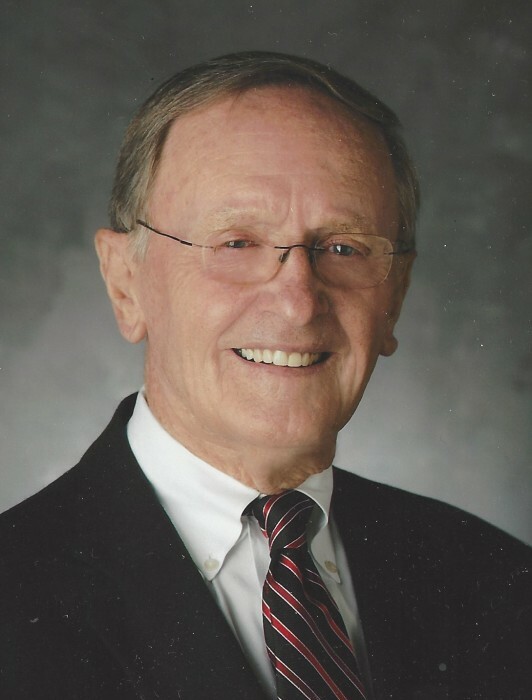 On Saturday, March 23, 2019, John E. Goettlicher, loving husband and father passed away peacefully at the age of 87. John was born on January 15, 1932 in Johnstown to John H. and Frederike (Holler) Goettlicher. He was preceded in death by his parents, daughter, Sue Beth, and brother, Rudy. He is survived by his wife, Barbara, his two children, Diane and John, his sister, Elizabeth Hixson, two grandchildren, two great grandchildren, and many nieces and nephews. John was the former area golf professional at Berkley Hills Golf Course and Sunnehanna Country Club, both in Johnstown, and Rolling Rock Club in Ligonier. He was a PGA Professional for over 67 years and a life member of the Professional Golfers Association of America (PGA). John was inducted into the Tri-State PGA Hall of Fame in 2004, as well as the Cambria County Sports Hall of Fame in 2016. He was the former president and board member of the Tri-State PGA, where he was voted Tri-State Golf Professional of the Year in 1982. John had a passion for the game of golf and loved the outdoors. He was an avid collector of golf memorabilia and antique golf clubs. He traveled extensively with his wife, Barbara, and spent precious time with his family and friends. John was known for his infectious smile, his quick wit, and his kind and compassionate spirit. A memorial mass and celebration will be held on Friday, April 26, 2019 at St. Clement Church in Johnstown at 11am. In lieu of flowers, the family suggests memorial donations to a charity of one's choice. There's still time to send flowers to the Memorial Mass at the St. Clement Church at 11:00 AM on April 26, 2019.